I can’t believe my baby is going to turn one year old in less than three weeks! The past year has at times felt like a never ending battle against sleep deprivation, exhaustion, and frustration. But, it has also been the best year of my life and I have never felt more happy, more fulfilled as a person and more in love. In preparation for her birthday celebration, I made her a birthday crown to wear on the special day. Felt, cotton fabric, a handkerchief, embellishments and ribbon. 1. Measure your baby’s head. 2. Cut two colors of felt into a crown shape, one shorter than the other, to the length of the circumference of your baby’s head. 3. Cut patterned fabric into a crown shape shorter than the smaller felt shape but longer at the bottom so that you can wrap it around the back. This way you have cotton against your baby’s forehead instead of felt, which is often synthetic. 4. 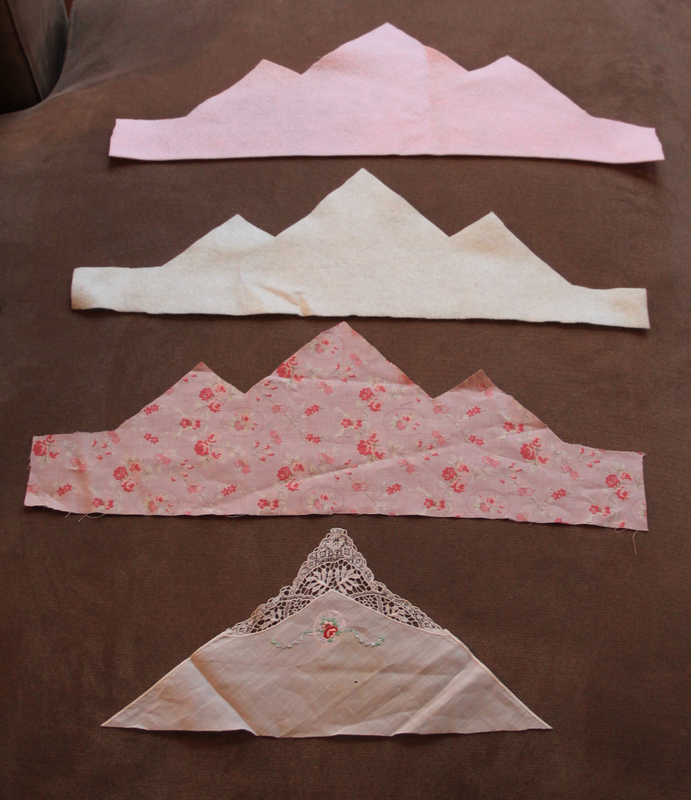 Cut the corner of the handkerchief. 5. Stack all the pieces, wrap the cotton fabric around the back and sew them together. 7. Sew ribbons to the ends of the crown so that you can tie it together in the back.